Performs very well. I'm used to using two bags in Minnesota during the cold season since it often reaches -20° F here in the winter. 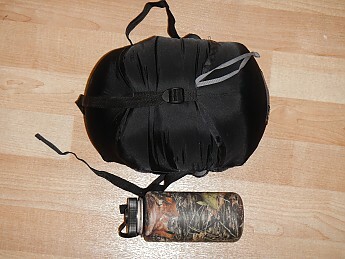 Packing in two bags, two pads, and other gear gets heavy and bulky. I fill up my 95L pack. If I hike in a long ways, I normally pull my bag in on a sled. At a compact 4lbs 1oz (long), I can finally pack in on my back. The baffles and collar keep heat in well because they are extra lofty (though the collar doesn't cinch 360°)I have noticed some minimal cold around the neck in really cold conditions (<0*F). The zipper functions well enough (maybe some very minor sticks if I zip and unzip with wanton hands). I spent the night in 15° weather and sweat bullets by 5 a.m. I found it necessary to unzip the bag from head to hip to cool off. 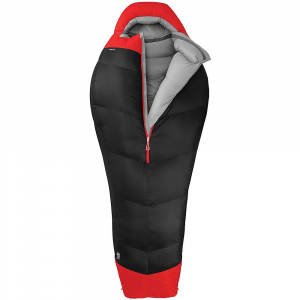 When I slip a Gore-tex bivy over the top of the bag and wear a puffy, I don't get cold even in MN winters (this is a first for me). Entry Exit: The bag is easy to get into and out of due to its silky interior and light top. Fit: The regular length is for a 5'10". I am 5'11' so I bought a long. It's slightly too long for me since it fits up to 6'6". It leaves a small pocket of cold at my feet or too loose of a dome around my head. Not a big deal. This can work to your advantage if you'd like some extra room in the foot box to keep your gloves or other clothing warm for when you put them on in the morning. Loft: Great! 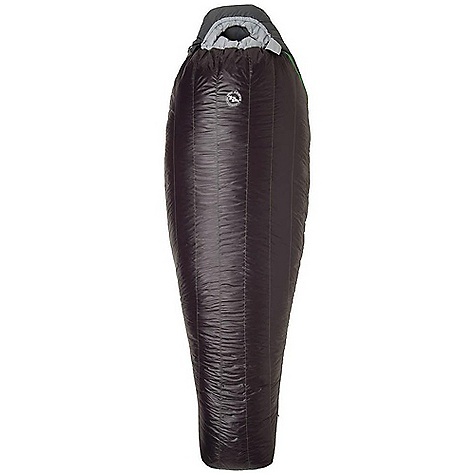 Just take it out of the compression sack and shake it around like you're shaking out a dirty door mat and it fluffs up in 10 seconds. Vertical chambers are supposed to distribute the heat better. I can't tell if this is true but it seems to work. It's super comfortable and just roomy enough to move around a bit. There's about 8.5 inches of loft. Features: No pocket!!! I rolled around on my contact lens case all night. The baffle does not cinch behind the neck. This doesn't allow you to contain the heat and a bit can sneak out the face hole. Since the internal collar is so lofty, it stops most. I am actually going to bring it to my old Armenian tailor friend to have a full circumference draw installed. I think then it will be the perfect bag. The baffle strings are easy to access when you are in the bag and they glide well. Compression: It compresses quite well for a -20°F, as you can see in the picture. Most of the 0° bags I've owned compressed to a similar size. Because this model has 700 fill down, it can loft better with less mass and therefore compress more. Durability: Call back in two years. Note: if you do not have a good insulator under the bag, you will get cold. 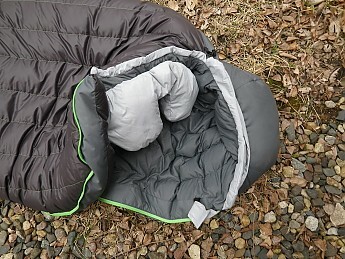 I've slept in this bag in 15°F and was cold because the pad I used did not have an R-value that corresponded with the weather conditions. 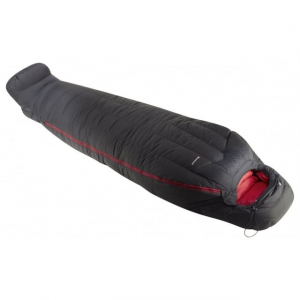 Compressed down loses its insulating qualities so your underside needs additional adequate insulation. If your pad(s) is(are) sufficient for the weather, the bag will perform as advertised. Update 3/2015: I was on a trip where I had to spend a night on a farmer's field. It was -10°F (-23°C). Wind was minimal. I was in a tent with no fly and did not bring my Gore-tex bivy. I was uncomfortably cold by morning even with several layers on. 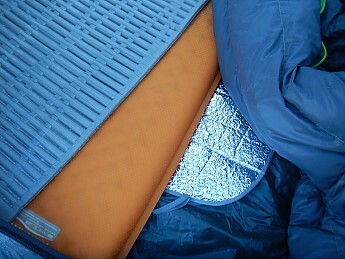 I slept on two insulated pads and a mylar reflector so it wasn't the ground pulling the heat out. 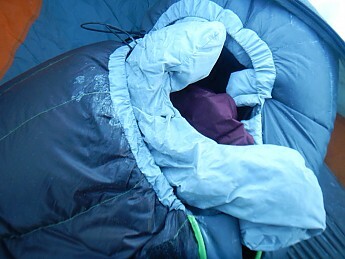 I will say that previous to entering the tent, I was already in the cold for about 4 hours. This does not mean the bag is not worthy of its rating. 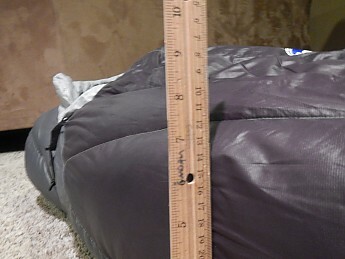 It just means that the bag performs to its comfort rating (comfort rating tends to be about 15 over the bag survival rating) as advertised but does not go well below it (in the case that you're hoping to use it in -40°, don't). I did get a bit of seepage around the draft collar until I cinched down the face hole to mouth size. Yeah, that's my frozen drool and vapor on the bag. Hand wash your sleeping bag and other down products! I have a washing machine that would make most people jealous! I've washed all of my down products. No probs. If you have one of those washers with the spinning column of Hades in the middle, you are right, they tear everything apart! I guess I've heard that it is safe to hand wash, even with the non-agitator machines. Glad that you have had success! Thanks for the review! I am from MN, now live in Wisconsin. 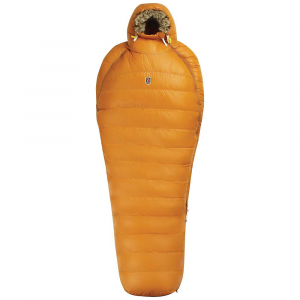 300winmag: I've noticed that LL Bean has been uping their game with some of their new product line. Have you reviewed your bag yet or do you need more time to field test? 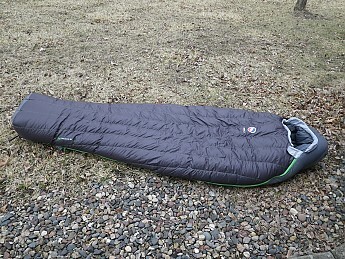 Go Time, I've reviewed my -20 F. LL Bean down bag here on Trailspace. Sadly this -20 F. bag is sold out for the year, sez Bean's salesperson. They only have it in a 0 F. temp. rating. 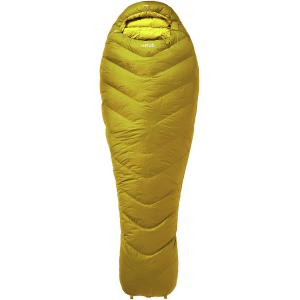 The Big Agnes Crosho SL is not available from the stores we monitor. It was last seen November 28, 2015	at CampSaver.com.